Are you looking to connect with a dead relative or a lost loved one but don’t know how? Maybe you want to experience the paranormal and go on a ghost hunt. Whatever your reason for wanting to contact the spirit world, whether it’s to gain knowledge about the afterlife or to communicate with the dead, these spirit box apps, also known as ghost box apps, will give you the opportunity you desire to experience life after death. It used to be that only people with psychic ability could contact the spirit world. Now with all the technological advancements out there, we have the ability to tap into the realm of the dead with advanced phone apps that use technology similar to if you went out and purchased a spirit box (or ghost box) yourself. What Is A Spirit Box? Nikola Tesla (who many people think is the greatest inventor of all time), is accredited with saying “if you want to find the secrets of the universe, think in terms of energy, frequency, and vibrations”. Since energy cannot be destroyed, when we die, it’s only our physical body that dies. Our consciousness still remains alive and can sometimes become stuck between the spirit realm and the physical realm. Audio vibrations and frequencies are a form of energy. Much like spirits, it’s not something that we can touch or see. It’s something that can only be heard and felt. Spirits are energy that can shape and form the energy around them into audible sounds or voices. This is a very basic understanding of how spirit boxes work. The spirit boxes can help the dead communicate with us by giving them a medium to talk between the world of the dead and the world of the living. With the power of a computer (your phone) at the tip of your fingertips, they now have advanced apps out there that will let anyone who’s brave enough, tap into the paranormal by giving them access to technology that can help them connect with the dead. How and Why Do the Dead Connect with Us? The dead can look to connect with us for many reasons. 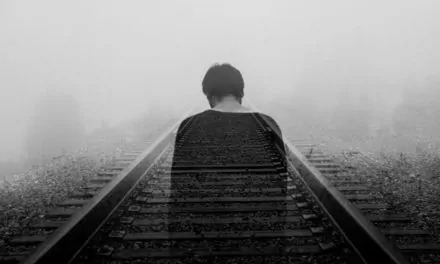 Oftentimes they want to communicate with us to send us a message, or sometimes it’s just because they’re looking for a way to stay connected with their loved ones that they too lost. If we are looking to speak with them, then it could be a good sign that they want to speak with us too. First, we must learn to control our own energy before we can look to tap into the energy of the lost. The dead look to communicate with as through as many means as possible. With technology so widespread and available all over the world, it’s no wonder that spirits often use this as a measure to talk to the living. People have seen their TVs unexplainably flicker on and off, voicemails with eery messages left on them, or fully powered devices being drained in an instant. There’s some things that science can’t explain and that’s because it’s from the supernatural. If you’re interested in contacting the dead, one of the best, most available methods to do so is by downloading a spirit box app. This is a free way that you can try to contact any spirits that might be lingering around you. When you first start using a spirit box app, you might think that any noise that comes through the app is a spirit trying to contact you. Make sure that you learn how to differentiate between white noise and spirit noise. It might take a little while to get used to but the more practice you get, the easier it will become. Spirit box apps are nice because instead of having to use a ghost box (spirit box) and a recorder to play back the noise, they have everything done for you already. • Always be mindful of the spirits you’re communicating with. The more willing to understand them when communicating with them, the more likely they will be to consider communicating back with you. This app comes in at the top of our list for spirit box apps. 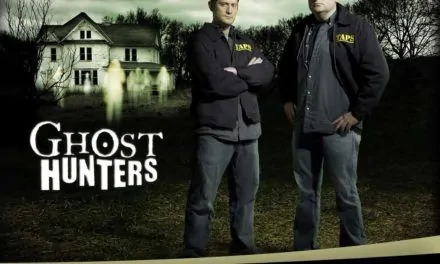 It was specially designed by ghost hunters and has some of the most sophisticated technology out there when it comes to connecting with the spirit realm. With four recording channels, two noise banks, and a channel sweep to monitor frequencies, it’s everything that you need for going out on a ghost hunt. 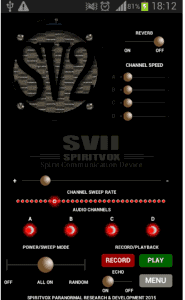 In our opinion, the SV-2 SpiritVox App is the best spirit box app you can download right now. It isn’t free, but it’s probably the closest you can get to connect with the spirit realm without actually purchasing an actual spirit box. This app will convert your android phone into an EMF (electromagnetic field) detector that can be perfect for detecting where to go to pick up any paranormal activities. It also comes with a spirit box and an EVP (electronic voice phenomenon) recorder, which will give you everything you need when it comes to communicating with the dead. 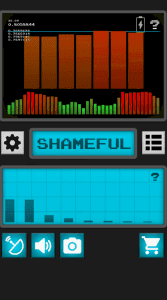 The great thing about the SGK-1 Ghost Hunting Kit is that it’s a free spirit box app to download. However, there is a small subscription fee if you want to remove the ads and get access to some additional features. The Sono X10 is without a doubt, the best spirit box app for iPhone users. It is great for both amateurs and professionals alike. It’s both easy to use as well as advanced and sophisticated. They developed this app with a voicebank to help spirits create words by using small bits of the alphabet (called phonemes). Remember that spirits don’t have physical bodies or voice boxes to communicate with us, they manipulate the energy by using the technology within the app to make us understand what they are trying to convey to us. The Sono X10 is another free spirit box app you can download on the App Store. 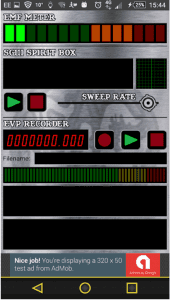 Ghost hunting tools is a popular free app that has an EVP detector, EMF meter, as well as a word analysis feature that will attempt to decipher any words that it thinks the spirit is trying to speak to you. By analyzing audio files in combination with the sensors from the EMF meter and the environmental readers, it attempts to interpret and display the words it believes the spirit is trying to communicate. There are some mixed reviews on this app but most of them are good. It also says that the app is for entertainment purposes only, so just keep that in mind when purchasing it. 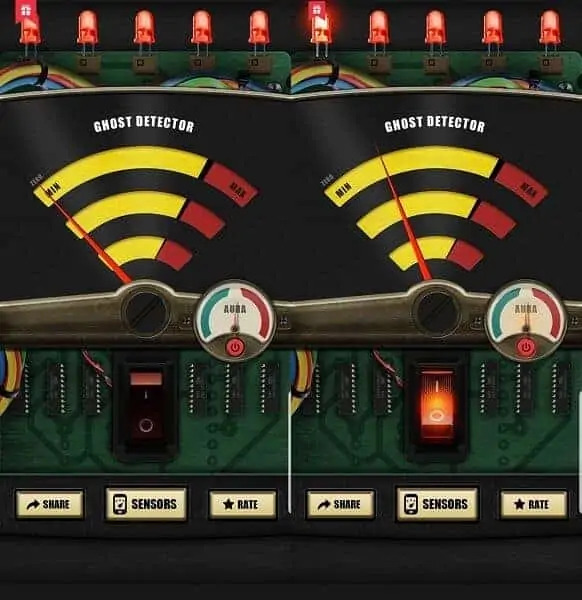 The self-proclaimed most accurate ghost detector on the market uses an EM4 algorithm that can measure and detect both good and bad energies of paranormal entities nearby. Most of the reviews about this app are very positive, and some people share their own personal stories of contacting their dead relatives. 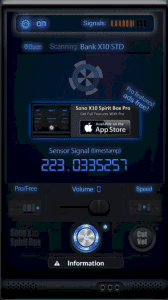 The Ghost Sensor EM4 Detector app is a free spirit box app as well. Why should you use a spirit box app? It’s by far the most effective and affordable (free is always good) way to communicate with spirits. Whether you’re looking for a one-time communication to speak to a dead relative, or you’re looking to constantly speak with spirits from another realm, these apps can do it all for you. With having a way to communicate with the dead at a moment’s notice, you’re not going to want to miss out on this awesome opportunity to stay in touch with the ghostly world. Instead of spending hundreds of dollars on a high-quality spirit box, you can simply download the app on your phone and then set your mind and heart on connecting to the spirit realm. It may take a couple of sessions to get used to, but if you keep in mind all the tips that I gave you earlier, you should be able to make contact in no time. Don’t get dismayed if you have trouble talking to the dead the first time. Keep an open mind when it comes to contacting the dead. If you don’t believe that you can talk with the dead, then believe me, the dead won’t be as likely to want to talk with you. They are usually only open to speaking with people that are in touch with what their mind is capable of and know that they can use their mind to achieve what seems impossible. The mind will work wonders when it comes to finding a way to accomplish what it sets out to do. When you believe in something strongly enough, all the forces of the universe will gather to make it happen for you.